This counter in in a cast iron hand hole. Pipe fitting cast into tank top. 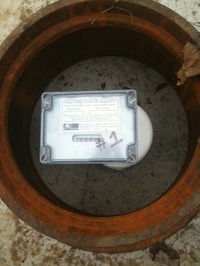 Counter includes water resistant enclosure and actuator float. Counter mounts on a pipe riser. Introducing a good old fashioned and reliable way to record Flout cycles or any fill/empty event. This is a non-electric, gravity powered, never forgetting mechanical counter for keeping track of dosing cycles. The housing is water resistant. 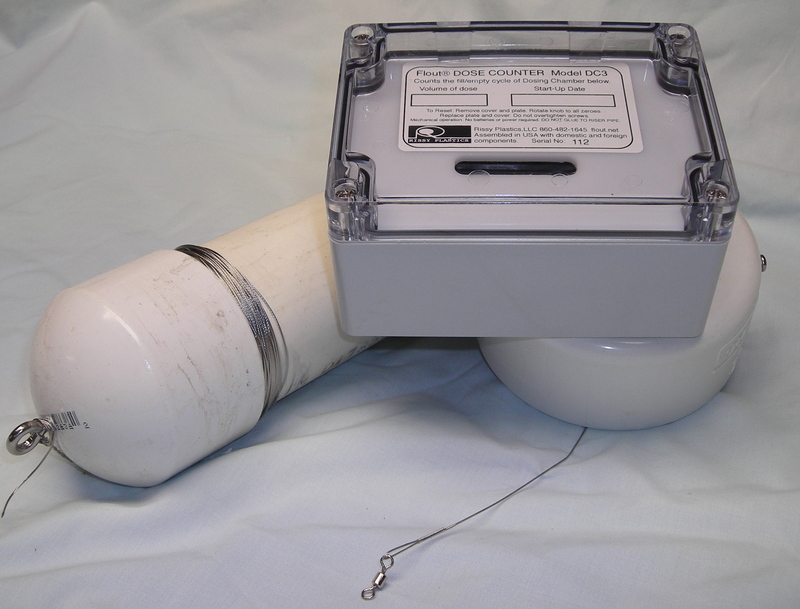 A special rubber seal is employed where the stainless steel actuator wire enters. The activator is heavy enough to pull the lever on the counter each time the dosing chamber empties but has enough buoyancy to release the counter on refill. 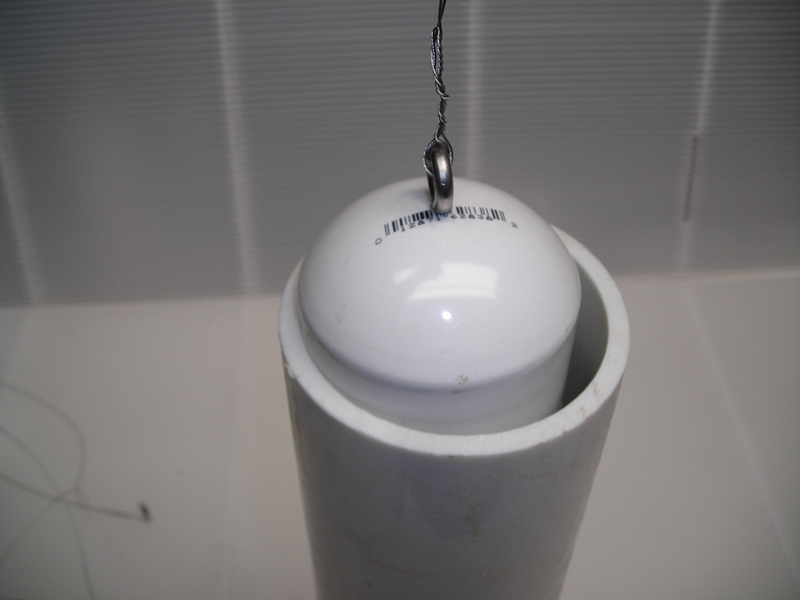 The buoyancy is slightly negative so the pull wire stays taut to prevent tangling. The counter may be reset, but to prevent tampering, the housing must be opened to do so. The DC4 counter is recommended for 6-8” drawdowns. 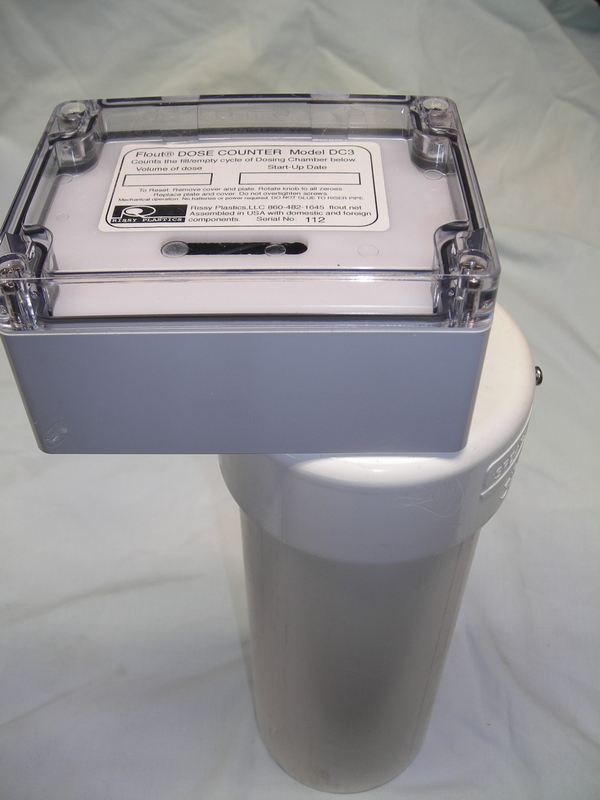 The Low Profile Activator can be installed on a DC3 counter but it will not fit thru a 3” pipe but can b installed from below.